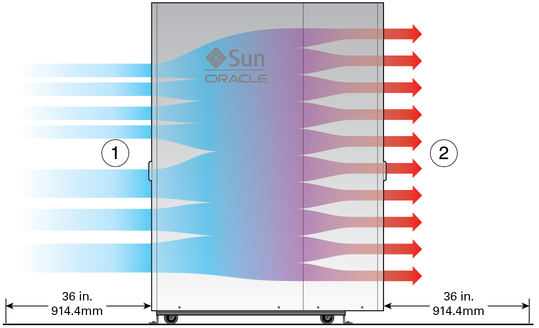 The maximum rate of heat released from a fully configured server is 90,000 BTUs/hr (94,955 kJ/hr). To cool the server properly, ensure that adequate airflow travels through the server. If the server is not completely populated with components, cover the empty slots with filler panels. Note - There are no airflow requirements for the left and right sides or the top and bottom of the server.